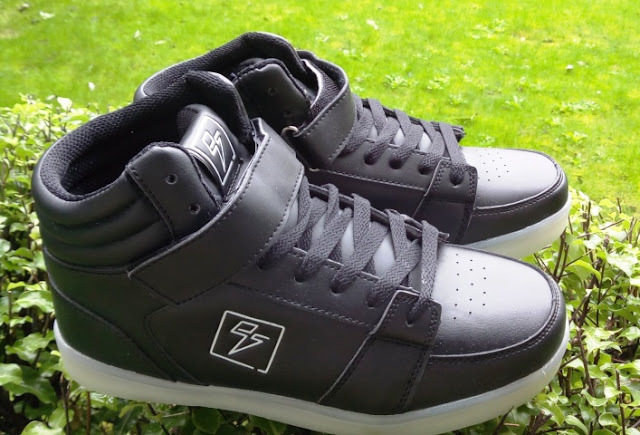 Up for review today is a cool pair of Electric Styles light up LED high-top shoes, which come with a standard dual micro USB splitter charger cable to charge both shoes at the same time. 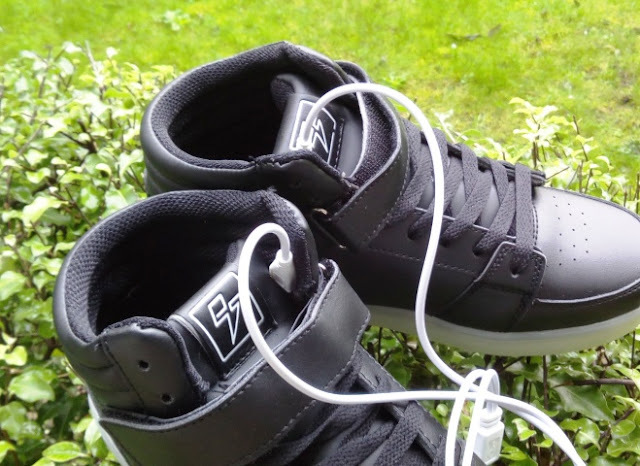 You will find a micro USB plug-in port located inside of both shoes (next to the tongue), which is also the location where the single multi-functional button is located (just below the micro USB plug-in port). 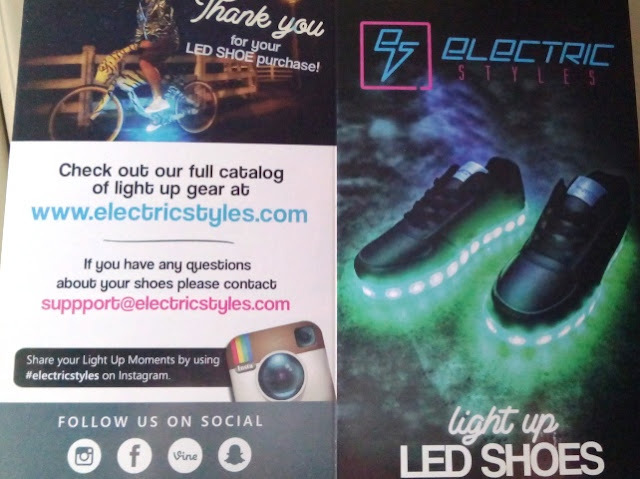 This single multi-functional button powers the light up LED sneaker shoes on and off, as well as control the light up LED shoes different color modes, which include seven static colors, two strobe modes and a color changing mode. You can also press this button one more time after the color changing mode to fully turn the light up LED sneaker shoes off. Press the button again to turn the LED shoes back on. 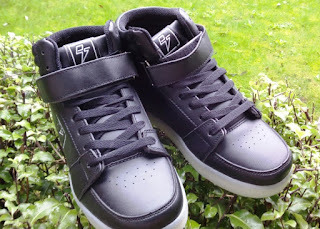 To turn the light up LED shoes on and off, you simply hold the button for a good few seconds (around 10 seconds). To charge simply plug in the dual micro USB splitter charger cable in each micro USB port and connect the standard USB side to a USB wall charger or other USB source. 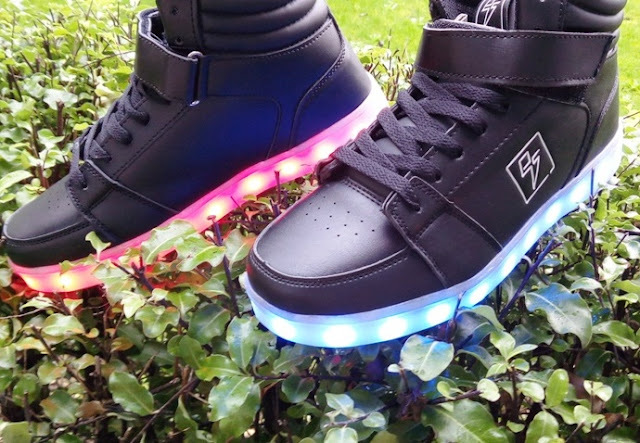 During charging, the bottom of the light up LED shoes will show a solid red light. 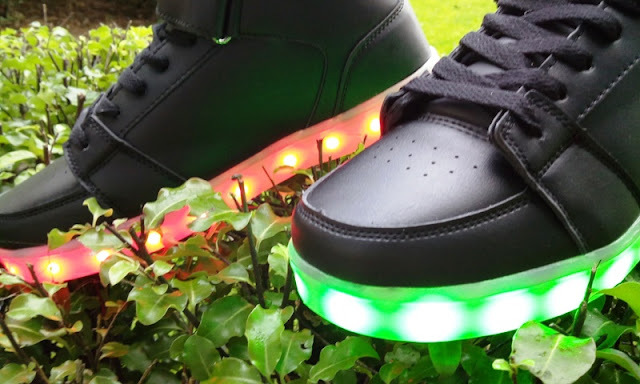 After the light up LED shoes are fully charged, a solid green light will show. 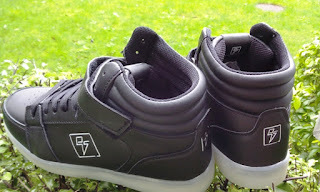 Full charge takes around 3.5 hours and the light up LED shoes lighting power will last a good 6 hours, depending on frequency of use.